DIAGEO is poised to take control of one of China’s largest spirits groups and swallow a bigger share of the pound stg. 42 billion ($64bn) Chinese drinks market. The Johnnie Walker Scotch whisky and Smirnoff vodka maker has gained regulatory approval to take a controlling stake in Sichuan Chengdu Quanxing Group, the company behind Shui Jing Fang, one of China’s best-known brands of baijiu spirit. The deal represents one of the first instances of a foreign group being allowed to acquire formal control of a listed Chinese company and the first in the spirits industry. The deal was announced to coincide with the visit of Chinese Premier Wen Jiabao, who was at Downing Street yesterday for talks with British Prime Minister David Cameron at the start of a five-day tour of Europe. 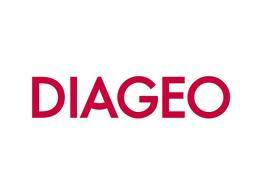 Business Secretary Vince Cable had pushed Diageo’s case during a trade mission to China last November.